Program booklet and abstract book are available for download. Program and abstract site is open. Online registration site is open. Manuscript upload site is closed. 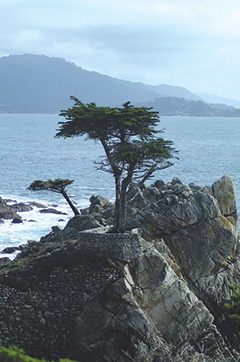 The Society of Rheology invites you to participate in the XVth International Congress on Rheology, which will take place in Monterey, California from August 3 to August 8, 2008.The Congress convenes every four years and brings together the world’s leading rheologists to present the latest advances and developments in this field. The Congress will include opening and closing plenary lectures, fourteen keynote lectures (including the Bingham lecture) by eminent rheologists, contributed oral presentations organized into sixteen mini-symposia, and a poster session. Two short courses will be offered on the weekend before the Congress, August 2 - 3, 2008. The Congress Proceedings will be published by the American Institute of Physics (AIP). See Instructions for Authors page for details. Each participant will receive a fully functional, self-opening, full-text searchable CD ROM at the Congress. AIP will also publish an online version of the proceedings by the Congress. A bound volume can be purchased from AIP at additional cost. In addition to the technical program, an active social program is planned which will introduce the participants to the wonderful attractions of the coastal environs of Northern California.